What makes golf in Thailand so special? It’s the people, says Mark Siegel, Thailand’s biggest dedicated inbound golf tourism operator. He continues, “Thai hospitality will keep the country on top of Asian golf tourism for the foreseeable future”. Thailand will remain Asia’s market leader in golf tourism because other countries can’t match the Kingdom’s “secret weapon” – the Thai people, especially their golf course caddies. Mark Siegel, whose company Golfasian will this year bring 6000 international golf tourists to south-east Asia, stated “the Kingdom would stay ahead of rival golf destinations because of the special way visitors are welcomed”. Visiting golfers experience genuine Thai friendship in many ways, but especially with caddies, who really have fun and are extremely helpful and knowledgeable about the game of golf. 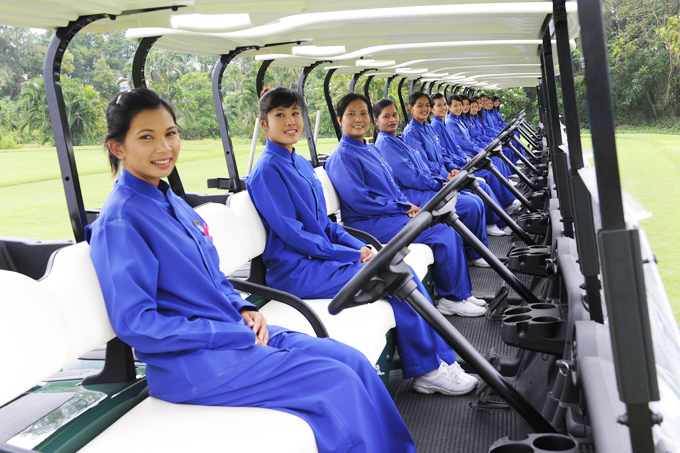 They enjoy their work, It’s not an act, they are Thai golf’s secret weapon. Everyone who comes to Thailand to play golf goes home a winner. The statistics seem to bear out this claim. This year, 600,000 golf tourists are expected to visit Thailand, an increase of more than 15 percent over 2011, making Thailand the world’s third most popular golf destination after the United States and the British Isles. Siam Country Club Old Course and Plantation Course, Pattaya.